Yves Tiberghien (Ph.D. Stanford University, 2002) is a Director Emeritus of the Institute of Asian Research at the University of British Columbia (UBC), Executive Director of the UBC China Council, and Associate Professor of Political Science. He is a Senior Fellow at the Asia-Pacific Foundation of Canada, a Senior Fellow with the Global Summitry Project at the Munk School of Global Affairs at the University of Toronto, and a visiting professor at Tokyo University. He is a Faculty Associate at both EHESS and Sciences Po in France. Dr. Tiberghien is also a Harvard Academy Scholar (2004-2006). Dr. Tiberghien specializes in East Asian comparative political economy, international political economy, and global economic and environmental governance, with an empirical focus on China, Japan, Korea, and Southeast Asia. He focuses on the ongoing transition in the global economic and environmental order, in the face of new systemic risks, a changing balance of power, and the rise of populist political forces. In 2007, he published Entrepreneurial States: Reforming Corporate Governance in France, Japan, and Korea (Cornell University Press). His most recent books are L’Asie et le futur du monde (Paris: Science Po Press, 2012; also published in Chinese by Social Sciences Academic Press) and Leadership in Global Institution-Building: Minerva’s Rule (edited volume, Palgrave McMillan, 2013). He has published extensively on Japan’s and China’s political economy, global governance, global climate change politics, and the governance of agricultural biotechnology in China and Japan. He is currently working on articles and a book on China’s role in global governance (including G20, AIIB, climate change, Belt and Road Initiative), as well as articles on the tensions between global integration and forces of entropy in the global economic system. Dr. Tiberghien is leading an international team on the Paris Agreement on climate change. He also founded the Vision 20 group in 2015, a new coalition of global scholars and policy-makers aiming at providing a long-term perspective on the challenges of global economic and environmental governance. The V20 has held two summits (Hangzhou, 2016, and Washington DC, 2017: http://www.thevision20.org). Professor Tiberghien has made significant contributions to our understanding of economic and environmental governance in East Asia (China, Japan, Korea, ASEAN) and of global economic governance. These include an understanding of innovative policies, reforms, and institutions that can be of use for Canada and beyond. Tiberghien has been awarded two major SSHRC grants and several other grants for this work. Tiberghien was also awarded a Harvard Academy Fellowship (and related life-long distinction) in 2004-2006. Tiberghien’s research has also focused on institutional innovations in global economic and environmental governance; in this work, he has been tracking global systemic risks, emerging solutions and institutions to address those, and the role that Canada can play to be positioned at the core of future global institutions. In this work, Tiberghien is part of a large global research network as a Senior Fellow with the Global Summitry Project of the Munk School (University of Toronto). Tiberghien has been awarded two major SSHRC grants (2009 on China and the management of globalization; and 2004 on the global governance of Genetically Modified Foods) and several other grants for this work on global governance. Tiberghien was awarded an East Asia Institute (EAI) fellowship in 2010-2011, with visiting research positions at Fudan University, Peking University, Keio University, Taiwan National University, and the East Asia Institute. Tiberghien has completed four major research projects:1) on financial globalization and corporate governance reforms with funding from SSHRC and the Harvard Academy – leading to a major Cornell University Press book and scores of articles and chapters; 2) on climate change politics, funded by the Weyerhauser Foundation, leading to two major articles, and several book chapters and articles; 3) on global institutional innovation with funding from Japan Foundation and the EU Commission, leading to an edited book published by Palgrave; 4) on the competitive regulation of agriculture biotechnology, funded by SSHRC, leading to scores of articles, chapters, and conferences. 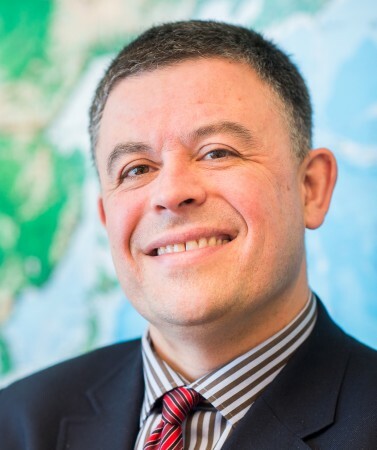 He is nearing completion of a fifth research project (funded by SSHRC) on the role of China and emerging powers in global governance, leading to two major books published in France (Sciences-Po press), China (Chinese Academy of Social Sciences, March 2015), articles, and one further book in process. Research Partnership with L’Ecole des Hautes Etudes en Sciences Sociales (France), Waseda (Japan), Oxford (UK), Free University Berlin (Germany), Stanford University (US), and UBC/IAR. The network is supported by a French Marie Curie Fellowship and Japanese government funding, in addition to an endowment at IAR. Workshops have taken place in Waseda (2013) and at UBC (Fall 2014). A subsequent workshop around a book project is scheduled in June 2015. Policy School Network (including research cooperation): He has been actively engaged with the seven schools of the Global Public Policy Network (GPPN, see gppn.net). This is driven by the needs of the public policy program at UBC. Tiberghien has attended the GPPN annual meeting and associated research conference in 2012, 2012, and 2013. He served as a visiting professor at two of the schools (Sciences Po and Tokyo University), teaching the core course on global governance. The 7 partners of the GPPN are: Sciences-Po, London School of Economics and Political Science, National University of Singapore, Todai, Hertie School of Governance in Berlin, as well as Columbia University School of International and Public Affairs, Foundation Vargas in Brazil. At Tokyo University, Tiberghien has been working closely on systemic risk governance, including through the holding a joint workshop in Tokyo in July 2014. Cooperation with Sciences Po has included joint seminars and the publication of book on Asia and global governance with Sciences Po Press (2012). Tiberghien has a core research partnership with Prof. Wang Yong at Peking University- they are co- authors, working on a joint book and a collaborative set of articles. Tiberghien has a long-standing research partnership with Professor Xue Dayuan at Minzu University in Beijing (Chair of the Biodiversity Research Center and Chief Scientist on Biodiversity at the Ministry of Environmental Protection). They are working on a joint project on the comparative governance of biodiversity. Tiberghien has a long-standing research relation with Professor Gao Qiqi at East China University of Political Science and Law. They are working on a set of common global governance indicators. As part of the work to establish a dual degree with Fudan University, Tiberghien has worked with Fudan on a joint workshop on governance in China. One article co-authored by Tiberghien and one of his graduate students is under review with the journal Governance. Translation of 2012 Book (L’Asie et le Futur du Monde with 25% updates and expansion from original). Tiberghien, Yves, ed. Leadership in Global Institution Building: Minerva’s Rule. Palgrave Studies in European Union Politics Series. London and New York: Palgrave McMillan. L’Asie, le G20, et le future du Monde. Paris: Presses de Science Po. Collection Nouveaux Débats. Entrepreneurial States: Reforming Corporate Governance in France, Japan, and Korea. The Global Battle over the Governance of Genetically-Engineered Food. Tiberghien, Yves. “An Uncertain World: Rising Powers, Systemic Risk, and the Role of Institutions and Entrepreneurship: a Response to Brantly Womack’s ‘China’s Future in a Multinodal Order.” Pacific Affairs. Volume 87, No. 2. June 2014. Tiberghien, Yves and Niall Dugan. “Existing and Emerging Powers in the G20: the Case of East Asia.” Asien, the German Journal on Contemporary Asia. July (No 128). Pp 28-44. Internationale de Politique Comparee. Vol 18 (3). Pp. 95-122. “The political Consequences of Inequality in Japan,” Shakai Kagaku Kenkyu (Social Science Research). Issue 62-1. February. (pp. 77-99). Tokyo: Tokyo University. “The Puzzling 2010 Diaoyutai/Senkaku Crisis:Centrifugal Domestic Politics, Shifting Balance of Power, and Weak Regional Institutionalization.” Harvard Asia Quarterly. Special Issue on Maritime Asia. Harvard University: Harvard Asia Center. Winter 2010. Volume XII, No. 3 & 4. Pp 70-78. “The Global Governance of Biotechnology: Mediating Chinese and Canadian Interests.” CIC China Papers. No. 13. July. the Regulation of GMOs since the mid-1990s.” Journal of European Integration. Vol. 31, No. 3, 389–407, May 2009. “High Noon in Japan: Kyoto Protocol Politics and the Power of a Symbol (Yves Tiberghien and Miranda Schreurs). Global Environmental Politics. 7:4 (November). Pp. 70-91. Mitigation” (Miranda Schreurs and Yves Tiberghien). Global Environmental Politics. 7:4 (November). Pp. 19-46. "Idéologie néolibérale et entreprenariat politique au Japon (Neo-Liberal Ideology and Political Entrepreneurship in Japan). " Critique Internationale. 32 (Juillet-Septembre 2006): 153 - 171. “The Battle for the Global Governance of Genetically Modified Organisms: the Roles of the European Union, Japan, Korea, and China in a Comparative Context, Les Etudes du CERI, Number 124 (April), Institut d’Etudes Politiques, Paris. “Roundtable on Richard J.Samuels, Machiavelli’s Children: Leaders and their Legacies in Italy and Japan”, with T.J. Pempel, Sheldon Garon, Junko Kato, and Richard J. Samuels, Journal of East Asian Studies, 6, pp. 1-29. “State Mediation of Global Financial Forces: Different Paths of Structural Reforms in Japan and South Korea.” Journal of East Asian Studies. Summer 2002. 2(2):103-141. “What does China Expect from Global Economic and Environmental Governance? WTO, G20, GMOs, and Climate Change in a Broader Perspective”. Ohta Hiroshi and Yves Tiberghien, “Saving the Kyoto Protocol: what can we learn from the experience of Japan-EU cooperation?” in Bacon, Paul, Hartmut Mayer, and Hidetoshi Nakamura eds. 2015. The European Union and Japan: a New Chapter in Civilian Power Cooperation? Ashgate. April. Tiberghien, Yves. "Thirty Years of Neo-Liberal Reforms in Japan" in S. Lechevalier (ed.) The Great Transformation of Japanese Capitalism, London: Routledge. February. Pp. 26-55. Tiberghien, Yves. “Election Surprise: Abenomics and Central Bank Independence Trump Nationalism and Fukushima” in Pekkanen, Robert, Steven Reed, and Ethan Scheiner, eds. Japan Decides 2012: the Japanese General Election. Basingstoke, UK: Palgrave Macmillan (http://www.palgrave.com/products/title.aspx?pid=684422). Pp. 195-200. “The Global Economic Crisis and Politics of Regime Change in Japan” in Nancy Bermeo, and Jonas Pontusson, eds. Coping with Crisis: Government Reactions to the Great Recession. New York: Russell Sage Foundation. Pp. 261-286. “The global battle over the governance of agricultural biotechnology: the roles of Japan, Korea, and China” in Howlett, Michael and David Laycock, eds. Regulating Next Generation Agri-Food Biotechnologies: Lessons from European, North American and Asian Experiences. London: Routledge (series: Genetics and Society), pp. 111-125. “The Global Governance of Biotechnology: Mediating Chinese and Canadian Interests.” Chapter 19 in Pitman B. Potter and Thomas Adams, eds. Issues in Canada-China Relations.” Toronto: Canada International Council. Pp. 320-332. “Chapter 4: Kakusa mondai to seito tairitsu (the impact of inequality on party politics)” in Nobuhiro Hiwatari and Jun Saito, eds. Political Parties in Disarray: The Causes and Conquences of the LDP’s Fall from Power.” Tokyo: University of Tokyo Press. Pp. 97-114. “Chapitre 1 : Quels équilibres entre Etat et marché au Japon après vingt ans de déréglementation ? (what is the new equilibrium between State and market in Japan after twenty years of deregulation?). In Sebastien Lechevalier, ed. Capitalismes et néolibéralisme: Leçons japonaises. Paris: Presses de Sciences Po. ”Comment Comprendre l’echec de la politique climatique europeenne” in Annuaire Français de Relations Internationales (AFRI). Volume XII (2011). Pp. 549-560. Schreurs, Miranda and Yves Tiberghien. 2010. “Multi-Level Reinforcement: Explaining European Union Leadership in Climate Change Mitigation,” in Harrison, Kathryn and Lisa Sundstrom eds, Global Commons, Domestic Decisions: The Comparative Politics of Climate Change. Boston: MIT Press. Pp 22-66. Tiberghien, Yves and Miranda Schreurs. 2010. “High Noon in Japan: Embedded Symbolism and post-2001 Kyoto Protocol Politics.” in Harrison, Kathryn and Lisa Sundstrom eds, Global Commons, Domestic Decisions: The Comparative Politics of Climate Change. Boston: MIT Press. Pp. 139-168. “Europe: Turning Against Agricultural Biotechnology in the Late 1990s”, in Sakiko Fukuda-Parr, ed. The Gene Revolution: GM Crops and Unequal Development. London: Earthscan Publication, pp 51-69. January. “Global Investors, Bureaucratic Leadership, and Legislative Agenda: The Battle for Japanese Corporate Reforms, 1996-2002.” in Jongryn Mo and Daniel Okimoto, eds. From Crisis to Opportunity: Financial Globalization and East Asian Capitalism. Brookings: Washington, DC. The Walter Shorenstein Asia-Pacific Research Center. Pp.41-83. “De l’arrivee des bateaux noirs a l’insubmersible alliance? : Les Relations Nippo-Americaines de 1854 a 2004” (From the Arrival of the Black Ships to the insubmersible alliance: US-Japan Relations from 1854 to 2004). In Sabouret, Jean-Francois, ed. La Dynamique du Japon (1854-2004). Paris: Editions Saint-Simon. Pp 123-133. “Continuité au Japon et Transformation en Corée : Analyse Politique de Deux Parcours Divergents” [“Continuity in Japan and Transformation in Korea: Political Analysis of Two Divergent Trajectories”]. In Jean-Marie Bouissou, Diana Hochraich, and Christian Milleli eds. Les Economies Asiatiques : de la Crise au Rebond ? 2003. Collection Recherches Internationales du CERI. Paris : Editions Karthala. pp. 301-325 (Chapter 13). “Kokusai Shihon Ido: Kokusai Shihon Ido to Kokunai Seiji [“The Domestic Political Impact of International Capital Mobility”]. In Masaru Kohno and Harukata Takenaka, eds. April Akusesu Kokusai Seiji Keizai [Access to Theory on International Political Economy]. Tokyo: Nihon Keizai Hyoronsha. pp. 146-164. 2011 Playing Our Game: Why China’s Rise Doesn’t Threaten the West. By Edward S. Steinfeld. Oxford University Press (2010) published in Journal of East Asian Studies 11(2). 2010 Capitalism with Chinese Characteristics: Entrepreneurship and the State. By Yasheng Huang. Cambridge University Press (2008) published in Journal of East Asian Studies 10(1). 2006 Japan’s Financial Crisis: Institutional Rigidity and Reluctant Chagne. By Jennifer Amyx. Princeton University Press (2004) published in Perspectives on Politics 4(1). 2006 Machiavelli’s Children: Leaders and Their Legacies in Italy and Japan. By Richard Samuels. Cornell University Press (2003) published in Pacific Affairs 78(3). 2004 Quand les Sumos Apprennent a Danser: la fin du modA'le Japonais. By Jean-Marie Bouissou. Fayard (2003) published in Pacific Affairs 77(3). 2003 Political Business in East Asia. By Edmund Terence Gomez eds. Routledge (2002) published in Pacific Affairs 76(3). 2002 Banking on Stability: Japan and the Cross-Pacific Dynamics of International Financial Crisis Management. By Saori Katada. University of Michigan Press (2001) published in Journal of East Asian Studies. 2(2). 2013 Tiberghien, Yves. “Priorities and Constraints of the Abe Government After the Upper House Elections: Impact on Sino-Japanese Relations.” Submission to Peking University – School of International Studies. September 2013. 2012 “Toward a New Japanese Role at the G20 Leaders Summit.” G20 Debriefing for Digital20 Global Summitry Project, Munk School of Global Affairs, University of Toronto. 2011 “East Asian Politics and the Great G20 Game: Convergence and Divergence in Chinese, Korean, and Japanese Approaches.” EAI Working Paper. 2011 “Real Advances for Global Governance at the Cannes G20 - In spite of the Euro Saga.” G20 Debriefing for Digital20 Global Summitry Project, Munk School of Global Affairs, University of Toronto. 2011 “G20 and the Five Asian Powers.” Asia-Pacific Memo, UBC, IAR. 2011 “A New Japanese Voice at the G20.” Asia-Pacific Memo, UBC, IAR. 2011 “Strategic Games around Free Trade Agreements in the Asia-Pacific.” Telos, Paris. 2010 “The Global Governance of Biotechnology: Mediating Chinese and Canadian Interests.” CIC China Papers. No. 13. July. 2009 Wood, Fiona, and Tiberghien, Yves eds. 2009. Driving Innovations through Business, Education, and Social Entrepreneurship, Conference Report. Business Forum of Japan: Tokyo. 2009 “Empowering Entrepreneurs and Innovators: Toward a New Role for the State.” In Fiona Q. Wood and Yves Tiberghien, editors. Driving Innovations through Business, Education, and Social Entrepreneurship, Conference Report. Business Forum of Japan: Tokyo. 2005 “Agriculture Biotechnology Policy-Making in the EU, Japan, Korea, Chinese Taipei, and Australia: The Balance between National Politics and Global Trade Commitments”. Report Written the Project on “Building Capacity on Trade and Biotechnology Policymaking” directed by the International Center for Trade and Sustainable Development (ICTSD) and led by Professor David Vogel. ICTSD: Geneva, Switzerland (November). 2005 “OGM, le Sud fait sauter les tabous”, in Alternatives Internationales, Hors Serie-December 2005 (published in partnership with CERI-Science Po). Paris. pp.46-47. 2004 « L'Etat Japonais en Question: Rééquilibrages au Centre" (The Japanese State in Question: Reorganization at the Core), AGIR N°17, mars 2004. pp. 15-22. Paris, France: Societé de Strategie (publication focusing on geostrategic questions and international relations). 2003 Japan is Changing: Significant Reforms and New Debates in Post-1996 Japan: the Implications for Canada. Canada in Asia Series on Foreign Policy Dialogue. Vancouver: Asia Pacific Foundation of Canada. -Since 2002, Tiberghien has supervised three completed Ph.D. thesis and served on the committees of 7 more completed Ph.D. theses. One such former student is now an Associate Professor at the University of Toronto and co-investigator for this project (Mark Manger). Tiberghien is currently supervising 7 Ph.D. students and serving on the committees of 8 other Ph.D. students. The great majority of these Ph.D. students are working on global economic and economic governance or Asian comparative political economy. This team will be fully involved in the proposed project. One Ph.D. student working on China and global governance has already obtained a faculty position at the University of Ottawa and will help develop further partnership in Ottawa (Dr. Pascale Massot).